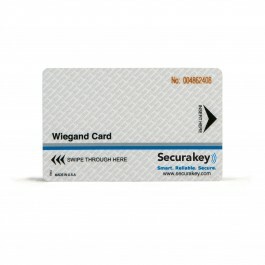 Secura Key Wiegand Cards are fully compatible with HID and Sensor Engineering Wiegand-effect swipe readers. Laser engraved card numbering is included. 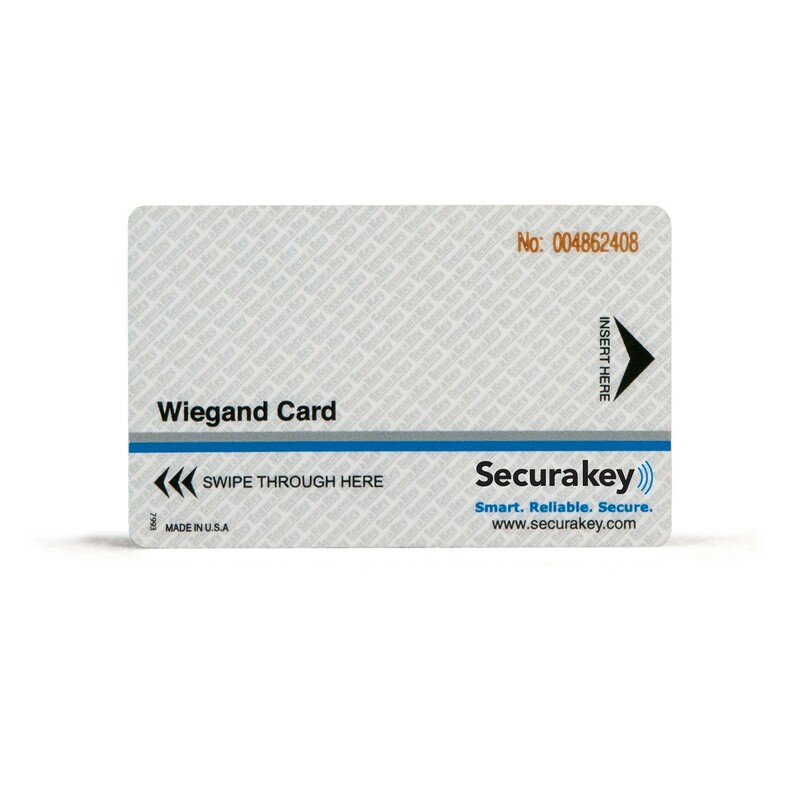 Secura Key Wiegand Cards are fully compatible with HID and Sensor Engineering Wiegand-effect swipe readers. Laser engraved card numbering is included. 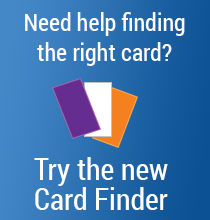 To order cards, specify card artwork, numbering, number location, finish, mag stripe and slot preferences. John R. Wiegand discovered that specially processed, ferromagnetic wire would generate a sharp uniform voltage pulse when passed through alternating magnetic fields created by small permanent magnets. This technology was adapted to access control identification cards as an alternative to magnetic stripe cards. Up to 40 short lengths of wire are arranged in two rows on an adhesive backing, which is laminated into a plastic card. The reader consists of a sealed unit containing permanent magnets and a pickup head. The wires generate pulses when the card is passed through the reader, with one row representing binary 0's, and the other representing binary 1's. The reader sends the binary data to the access control panel, where it is converted to a facility code and card ID number, which is checked against the access control database.